On 21 June 2018, people all around the globe will come together and celebrate the gift of yoga. In 2015, International Day of Yoga was declared by the United Nations General Assembly (UNGA). It was suggested by the Indian Prime Minister, Narenda, Modi, that the longest day of the year (in the Northern Hemisphere) be the chosen day to celebrate yoga, as this date also shares many significance in parts of the world. Where: Cape Town International Convention Centre. 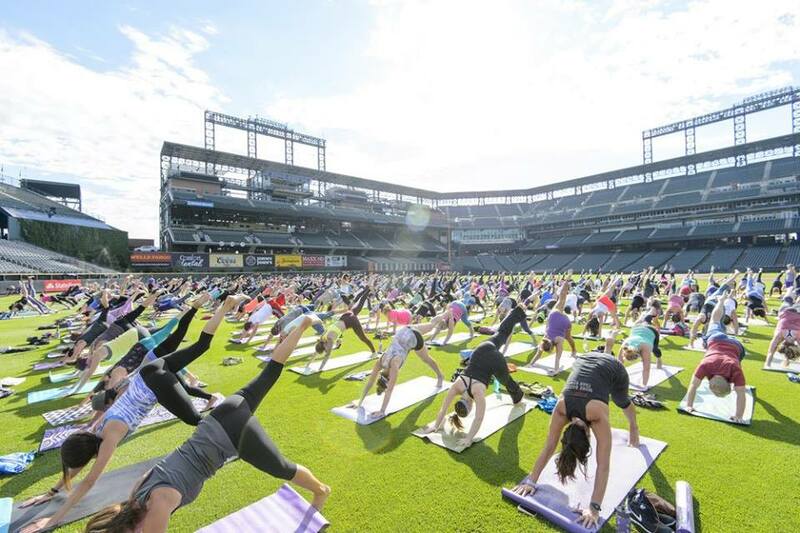 Bring your own yoga mat or beach towel. Adidas, will be sponsoring the event. The first 250 people to arrive at each session will receive a complimentary adidas goodie bag. You can choose to donate from R50-R1000 by selecting the tier/a donation that you prefer. Join the Consulate General of India to celebrate International Day of Yoga in Cape Town! Where: Samaj Centre, Gatesville, Cape Town. The programme would involve screening of a short film on Yoga followed by performance of yoga asanas by all attendees, meditation session and talks on different aspects of yoga and philosophy. Demonstration of some difficult yogic asanas is also proposed for the benefit of the attendees. The event is meant to promote and popularise yoga and encourage people to adopt as an integral part of their routine and lives. Yoga Works and Wanderers Sport Medical Centre invite the entire yoga community to come together and share our passion for the wonderful practice of yoga. Cost: The event is free. You can support the event by joining the 108 sun salutation challenge for R108. All proceeds will be donated to Dlala Nje, who has been challenging perceptions and creating opportunities in some of Joburg's most misunderstood areas. They also run a community centre providing a safe learning environment, yoga and other activities to children and youth. There will be a big group yoga class, various workshops, full kids program (including kids yoga and other activities) as well as vendors offering healthy food/drink options, yoga services, and yoga clothing/props. For more information please get in touch with info@yogaworks.co.za for more details. The Consulate General of India in Durban in association with the Sivananda World Peace Foundation invites you to celebrate INTERNATIONAL DAY OF YOGA! This event is free and open to all levels and ages.